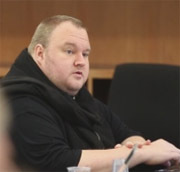 Kim Dotcom and former colleagues Mattias Ortmann, Bram van der Kolk and Finn Batato, have failed in their latest bid to avoid extradition to the United States. In a ruling handed down this morning, New Zealand's Court of Appeal upheld earlier rulings that found the quartet should be handed over to face criminal charges relating to defunct file-sharing site Megaupload. Megaupload founder Kim Dotcom has suffered a major setback in his long-running battle with United States authorities over defunct file-sharing site Megaupload. In a decision handed down this morning, New Zealand’s Court of Appeal ruled that he and three former colleagues – Matthias Ortmann, Bram van der Kolk and Finn Batato – are eligible for extradition to the United States to face a raft of charges including copyright infringement, money laundering, and racketeering. Megaupload was raided and shut down in 2012 following a joint operation between New Zealand and United States authorities. For the past six years, Dotcom has fought every detail of his case. With today’s ruling, the extradition process itself has already been analyzed and ruled upon by three different courts. In a statement issued by Dotcom this morning, the entrepreneur expressed disappointment but again insisted that the fight is far from over. “In its written judgment, the Court has decided not to record or engage with, our primary and strong submissions on why there was no criminal copyright infringement. At the hearing it did. This is obviously extremely disappointing,” he wrote. Previously, the High Court agreed with the defense that Dotcom could not be extradited to the U.S. on copyright infringement offenses alone, as communication of copyrighted content to the public is not a criminal offense in New Zealand. However, in a ruling handed down last year, the judge framed the matter as fraud, an extraditable offense. “If the Court of Appeal did accept we were right, as the High Court did, then the Court would need to find that the United States’ case to extradite me fails. Our submissions on why that must follow are very strong and rely on international authority,” Dotcom said this morning. The Megaupload founder has long insisted that a negative decision in his case would have wider implications than simply his extradition to the United States. He says that the Court’s ruling exposes local ISPs to criminal liability for the misuse of their services by users, something that was never intended under local law. But he warns that the battle will not end here. “As people know, I am prepared to fight to get justice, whether it is for me or others. I will appeal to the Supreme Court. Just yesterday, the United States accepted that right exists,” he said. Dotcom lawyer Ira Rothken took to Twitter to echo the words of his client. The decision handed down today does not attempt to determine the guilt of Dotcom and his co-defendants, simply that there is a “prima facie case to support the allegations that the appellants conspired to, and did, breach copyright wilfully and on a massive scale for commercial gain”. If extradited to the United States, the quartet faces charges including copyright infringement, racketeering, and money laundering, which carry jail terms of up to 20 years.